INTRODUCTION: Photorefractive keratectomy (PRK) is a proper type of refractive surgery used to remodel corneal stroma to compensate refractive errors. Corneal haze was reported as one of the side effects in several studies. This study was conducted for investigation of the effect of preventive effect of Vitamin C on eyelid edema, corneal haze, corneal epithelial healing, mitigation of pain, and epiphora. MATERIALS AND METHODS: This study has been performed as a double-blind clinical trial on 51 patients who underwent PRK surgery. The patients were randomly divided into two groups as follows: case group who received oral ascorbic acid 250 mg once daily for 7 days and control group that took placebo 3 days before and 4 days after the surgical operation. The patients underwent a surgical operation on day 0. Then, the following factors were evaluated as the main outcome: postoperative lid edema, pain, corneal haze, and corneal reepithelialization. RESULTS: The mean age of the patients was 28.52 ± 8.05 years. 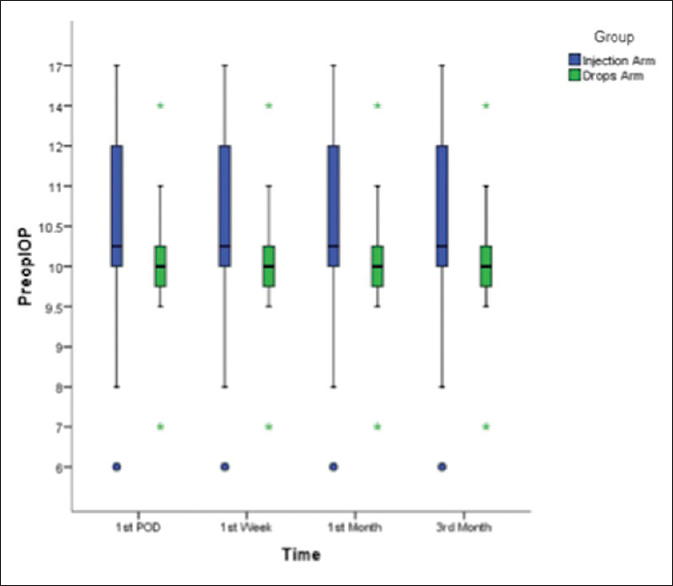 There was no statistically significant difference in the primary outcome of the subjective pain scores along with corneal haze and corneal reepithelialization between the treatment and placebo groups at any point during the postoperative period; however, there was a statistically significant difference and trend for lower lid edema in the ascorbic acids group on postoperative day 1 (P < 0.05). CONCLUSION: This study demonstrates that ascorbic acid may provide an alternative or add-on option for lid edema relief after PRK. BACKGROUND: Retinopathy of prematurity (ROP) is emerging as an important cause of childhood blindness in middle-income countries such as India. Although blindness can be prevented in most cases with timely screening and treatment, certain ocular comorbidities can lead to visual impairment. We evaluated and compared 1-year visual, refractive, and structural outcomes and comorbidities in three subsets of preterm infants enrolled for screening of ROP. SUBJECTS AND METHODS: Preterm children enrolled in the hospital's ROP screening program and with diagnosis of no ROP, mild ROP, or severe ROP were followed at 1 year of age to evaluate and compare visual, refractive, and structural outcomes as well as the presence of ocular comorbidities. Risk of poor outcome was calculated in children with mild and severe ROP reference population being children without ROP. RESULTS: Eyes with severe ROP were at highest risk of poor visual (risk ratio [RR]: 3.5, P < 0.001), refractive (RR: 45, P < 0.001), and structural (RR: 11, P = 0.006) outcome as well as ocular comorbidities (RR 11, P < 0.001). Eyes with mild ROP were at higher risk of myopia (RR: 11, P = 0.06) and ocular comorbidities (RR: 4, P = 0.04). Sixteen (16%) of the eyes without ROP developed poor visual outcome. CONCLUSION: Eyes with severe ROP are at highest risk of poor ocular outcomes and comorbidities and need a long-term follow-up. Eyes which do not develop ROP can have poor visual outcome and need to be assessed within the 1st year of life. AIM: This study aimed to compare the central corneal thickness (CCT) measurements using Optical Coherence Tomography (OCT) and TMS-5 topographer with that taken with the gold standard digital Ultrasonic pachymeter (USP). MATERIALS AND METHODS: A total of 61 subjects (122 eyes) were prospectively and consecutively studied in a period from June 2016 to June 2017 at Sudan Eye Centre (SEC), Khartoum, Sudan. Besides the visual and refractive data, measurements of CCT were taken using OCT, TMS-5 and USP. Data analyzed using SPSS software for windows (IBM SPSS 20, IBM Corp., Armonk, NY). RESULTS: A statistically significant differences in mean CCT was detected between the three instruments (P < 0.001). USP was found to measure the CCT 29μm thicker than OCT and 22μm thicker than TMS-5 topographer. A significant difference was also found between OCT and TMS-5. OCT found to give the lower values of CCT compared to both USP and TMS-5 topographer. Further analysis showed that the three procedures were significantly and strongly correlated to each other (USP vs OCT, r = 0.77), (USP vs TMS-5, r = 0.78) and (OCT vs TMS-5, r = 0.80). CONCLUSION: Mean central corneal thicknesses (CCT) were comparable among OCT, TMS-5 topographer and the gold standard USP. However, there is a reproducible systematic difference between CCT measurements taken with the three devices. It is important to note in clinical practice, that measurements acquired by these three modalities are not directly interchangeable. AIM: This study aims to evaluate the prognostic factors of different optical coherence tomography (OCT) parameters as well as the tamponade used in surgery, on postoperative anatomical and functional success. METHODS: Twenty-nine eyes of 27 patients were included in this study. A three-port 23-gauge pars plana vitrectomy was performed on all eyes with peeling of the internal limiting membrane by visualization with brilliant blue dye by the same surgeon (E.U). Apical diameter (AD), base diameter (BD), and height (H) were manually measured by the same retina specialist (E.U) with using the software on OCT machine. Macular hole index (MHI), tractional hole index, diameter hole index, and macular hole volume (MHV) were calculated. The correlation between predictive factors and postoperative best corrected visual acuity (BCVA) was evaluated. RESULTS: A statistically significant positive correlation was observed between preoperative BCVA, AD, BD, MHV, and postoperative BCVA scores. A statistically significant negative correlation was observed between preoperative MHI and postoperative BCVA scores (r = −0.676, P = 0.001). The strongest positive correlation was between BD and postoperative BCVA (logMAR) (r = 0.732, P = 0.001). The visual improvement was statistically better in patients treated with C3F8 than SF6. CONCLUSION: BD and MHV could be used as a strong predictive OCT parameters of postoperative functional success. BACKGROUND: The aim of this study is to compare the clinical efficacy of a single intraoperative posterior sub-Tenon's capsule triamcinolone acetonide injection with postoperative topical steroids in controlling intraocular inflammation in uncomplicated pediatric cataract surgery. 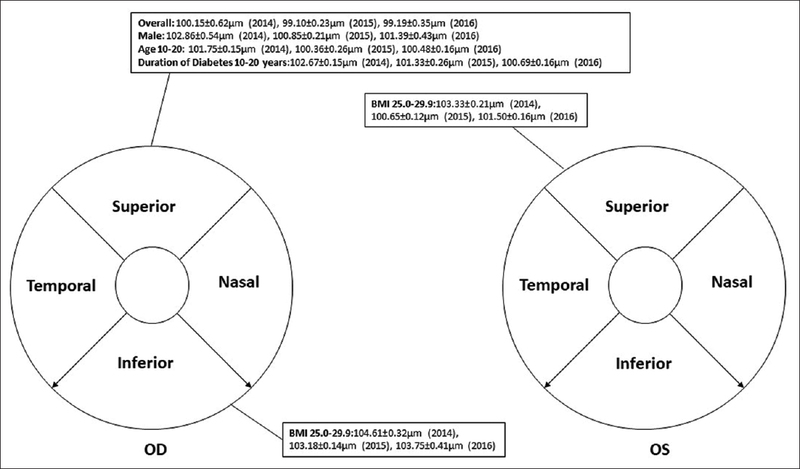 MATERIALS AND METHODS: A prospective comparative study of children (<13 years of age) undergoing cataract surgery in a tertiary care eye center in South India. Preoperative evaluation was similar in both groups. The surgical procedure was the same for both groups except at the end of surgery only Group 1 (right eye of bilateral cataracts and all unilateral cataracts) received intraoperative 0.5 ml (40 mg/ml) posterior sub-Tenon's injection of triamcinolone acetonide. Postoperatively, Group 1 was administered only topical antibiotic and Group 2 was put on topical antibiotic, mydriatic, and steroids. Intraocular inflammation and intraocular pressure (IOP) were assessed clinically on day 1, 1st week, 1st month, and 3 months, postoperatively. RESULTS: A total of 30 eyes were included in the study. Age ranged between 1 month and 132 months, with 18 eyes included in Group 1 and 12 eyes in Group 2. The mean postoperative IOP at the 3 months follow-up was not significantly different between groups (P = 0.4). The presence of intraocular lens had no role in postoperative inflammation (P = 1). Group 2 showed more anterior segment inflammation with six eyes (50%) developing posterior synechiae and distortion of the pupil 3 months postoperatively. CONCLUSION: In pediatric cataracts, a single intraoperative sub-Tenon's capsule injection of triamcinolone acetonide appears to be safe and effective in controlling postcataract surgery inflammation. BACKGROUND: To analyze changes over a 3-year period in ganglion cell complex (GCC) thickness in individuals with type 1 diabetes mellitus (T1DM) using spectral-domain optical coherence tomography (Optovue, Fremont, CA, USA). METHODS: Thirty-seven individuals from “Friends for Life Conference” with T1DM and a 3-year history of GCC thickness measurements were included in the study. Data analysis using SPSS 22 and Excel StatPlus was completed to note the subgroups that had a significant change. RESULTS: Significant decreases were noted in the following subgroups with slope in parenthesis. 1. Overall: GCC superior thickness OD (−0.48) 2. Male: GCC thickness OD (−0.86), GCC superior thickness OD (−0.735) 3. Body mass index (BMI) 25.0–29.9: GCC thickness OD (−0.48), GCC superior thickness OS (−0.915), GCC inferior thickness OD (−0.43) 4. Ages 10–20 years: GCC superior thickness OD (−0.635) 5. Duration of diabetes 10–20 years: GCC thickness OD (−1.055), GCC superior thickness OD (−0.99). CONCLUSION: GCC loss was noted in individuals who were males, those with BMIs of 25.0–29.9, and those who had diabetes for 10–20 years. Ganglion cell loss was also noted before the presence of any diabetic retinopathy, suggesting onset of neuronal loss before any vasculature changes. Best vitelliform macular dystrophy (VMD) is an autosomal dominant macular dystrophy caused by heterozygous mutations in the bestrophin1 gene. Patients with this condition typically have an abnormal electrooculogram. We report a case of a 16-year-old male who presented with gradual progressive vision loss in the right eye. 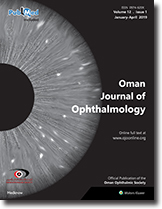 Ophthalmic assessment included funduscopy, optical coherence tomography (OCT), fluorescein angiography, electro-oculography, electroretinography, and genetic testing. Visual acuity was 20/500 and 20/20 in the right and left eyes, respectively. 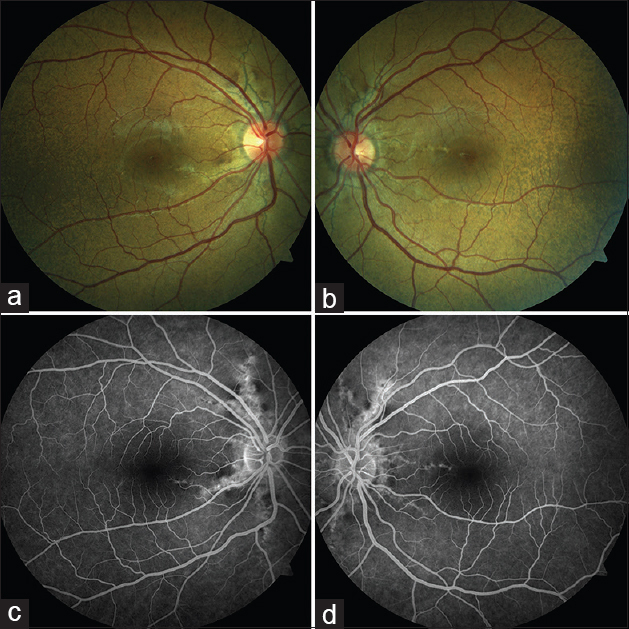 Ophthalmoscopy revealed round yellow lesions in both foveae similar to what is typically seen in Best disease. A subretinal hemorrhage surrounding the right foveal lesion was also noted. OCT demonstrated an elevated neurosensory retina with a subretinal lesion in the right macula. Fluorescein angiography of the right eye confirmed the presence of choroidal neovascularization. Genetic analysis of VMD2/BEST1 sequences confirmed the diagnosis of Best disease. However, contrary to what was expected, the patient's electro-oculography was normal. The findings of this case support a small number of previous reports demonstrating cases of Best disease with normal electro-oculography. While an abnormal electro-oculography along with the typical features of Best disease confirms the diagnosis, a normal result may not exclude the diagnosis. 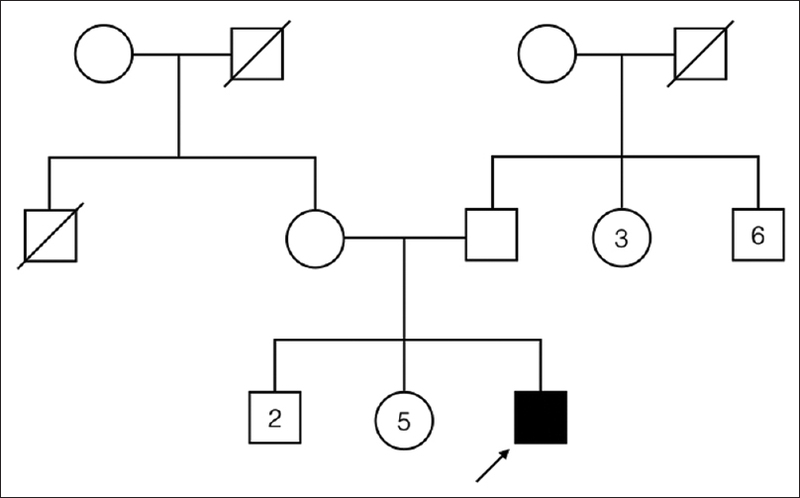 Genetic testing is probably the most important test for establishing the diagnosis of Best disease. Choroidal tuberculoma is a solitary elevated choroidal mass-like lesion regarded often characteristic of intraocular tuberculosis. 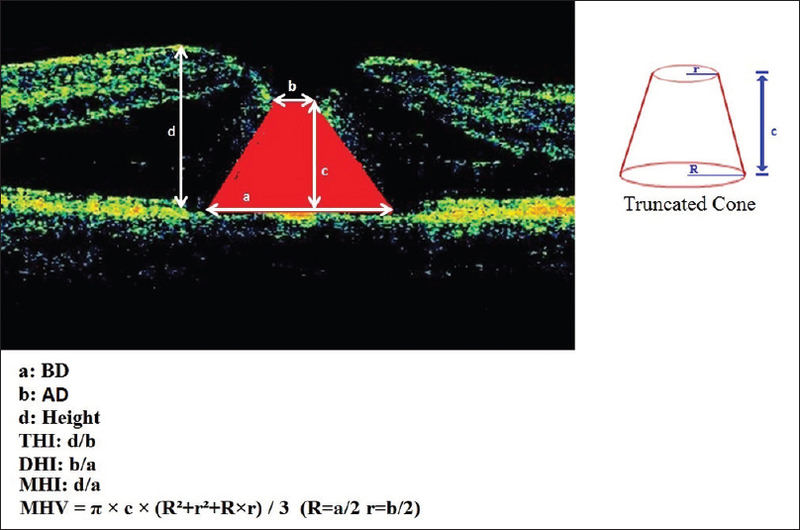 Serial swept-source optical coherence tomography (SS-OCT) is a very important tool in monitoring the course of choroidal tuberculoma and allows in early detection of complications such as choroidal neovascular membrane (CNVM). We describe a 26-year-old young Indian female, who presented with a solitary choroidal mass lesion in the left eye. Based on positive Mantoux test, biopsy of cervical lymph nodes showing acid-fast bacilli and radiographic findings, a diagnosis of choroidal tuberculoma was made. Serial SS-OCT during subsequent follow-up visits up to 14 months demonstrated the characterization of the lesion and assessment of response to antitubercular therapy and oral steroid. The patient was subsequently diagnosed to have concurrent CNVM and successfully treated with two anti-vascular endothelial growth factor intravitreal injections. Descemet membrane detachment (DMD) is a complication of a variety of eye procedures that can result in severe visual loss. We report a new case of the condition, in a highly myopic patient that had undergone cataract surgery, and presented a macular hemorrhage during the intervention. DMD was successfully treated with a combined technique of intracameral gas injection and transcorneal suturing. Following resolution of this complication, intraocular lens opacification was observed. The purpose of the study is to report an unusual case of encapsulated iron intraocular foreign body (IOFB) of long duration presenting with cystoid macular edema (CME) and normal full-field electroretinogram (ERG). A 28-year-old male presented with a history of metal injury 5 years back and subsequent visual loss in the left eye for 3 months. Fundus examination of the left eye showed an encapsulated cyst-like structure inferior to the disc with the surrounding pigmentary changes and CME. B-scan ultrasonography and computed tomography scan confirmed metallic IOFB. A full-field ERG performed before surgery showed a normal response. He underwent pars plana vitrectomy with IOFB extraction and silicone oil injection as a tamponade. Two months later, silicone oil removal was combined with intravitreal triamcinolone acetonide (IVTA) injection for persistent edema. Meticulous clinical evaluation, imaging, electrophysiological testing coupled with surgical intervention, and IVTA injection resulted in resolution of CME with minimal visual improvement. In conclusion long-standing encapsulated iron IOFB on the retina can cause vision-threatening complications without siderosis. We report a case of recurrence of herpes simplex virus (HSV) keratouveitis following the intravitreal injection of bevacizumab for macular edema secondary to central retinal vein occlusion (CRVO) in a previously adequately treated patient of herpetic keratouveitis. 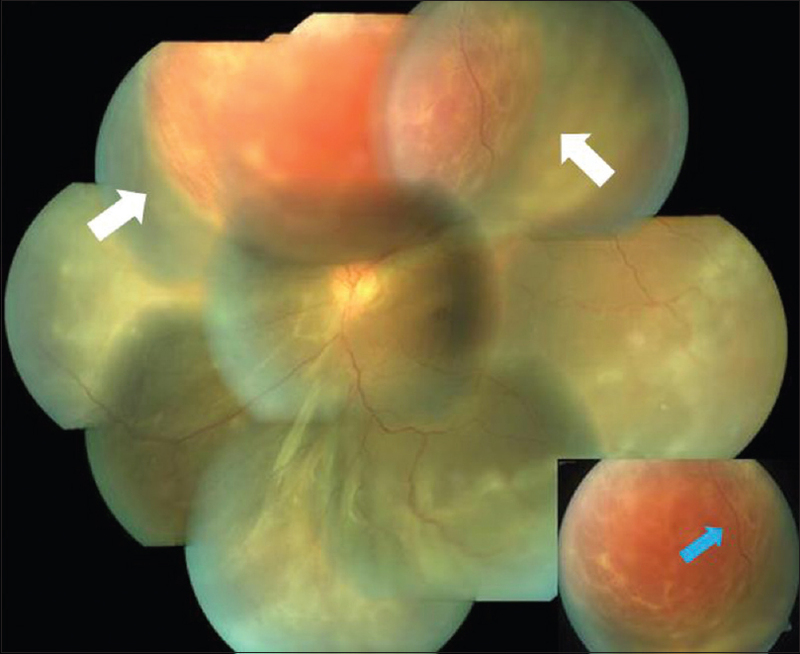 A 47-year-old man with the previous history of HSV keratouveitis was administered 2 doses of intravitreal bevacizumab in the right eye for CRVO, at an interval of 4 weeks. Following the second dose, the patient developed decreased vision, corneal edema, and anterior segment inflammation. Since he was a previously known case of HSV keratouveitis with a positive polymerase chain reaction for HSV from the aqueous, oral valacyclovir was started along with topical steroids and cycloplegics. He showed a good response to treatment with resolution of keratouveitis. 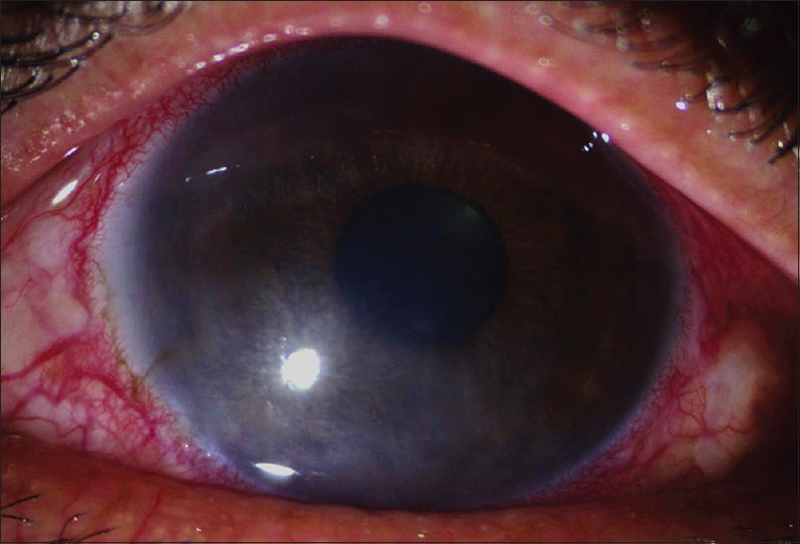 This case demonstrates that the recurrence of herpetic keratouveitis can be a possible complication of intravitreal bevacizumab, which may occur even after prior uneventful injections. True exfoliation is a delamination of the superficial layer of anterior lens capsule, which appears as a transparent membrane in the anterior chamber. It is a rare occurrence, and most of the reported cases have been associated with a history of exposure to excessive heat, ocular trauma, or inflammation. 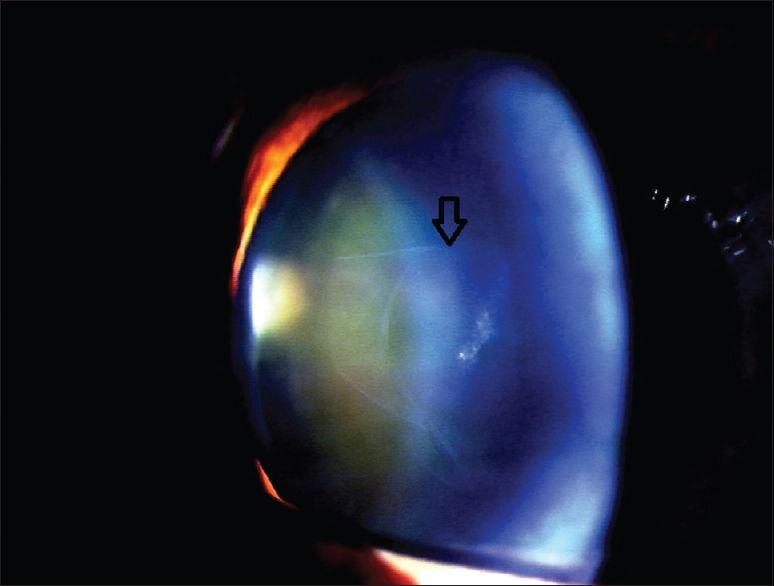 We report pre- and post-operative anterior segment observations, surgical approach and histopathology of the excised lens capsule in a patient who presented with bilateral true exfoliation without any contributory history. 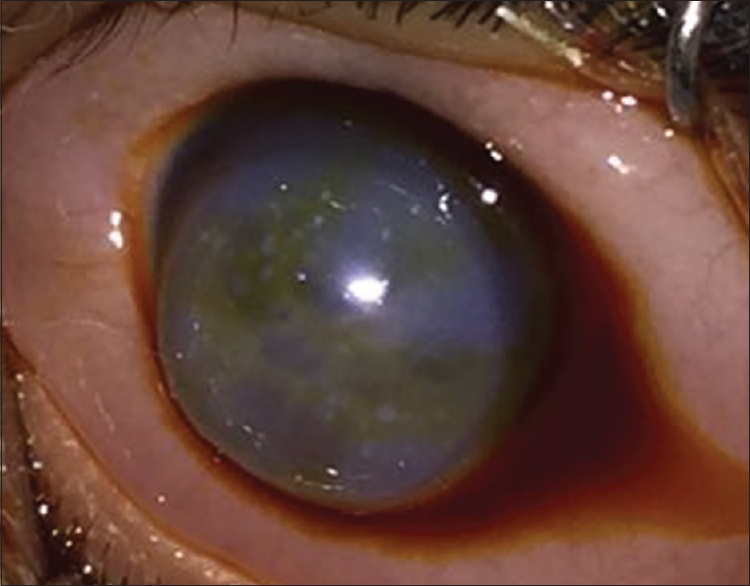 This case highlights findings from light microscopy which demonstrated a lamellar separation of the anterior lens capsule and partial detachment of anterior capsule with reduced intensity of periodic acid Schiff's staining in the detached portion, confirming the diagnosis of true exfoliation. Retinoschisis is characterized by abnormal splitting of neurosensory retina. We demonstrate imaging of retinoschisis with multiple modalities. Diffuse unilateral subacute neuroretinitis (DUSN) is a subacute outer retinal inflammation due to the presence of a subretinal worm. The worm is identifiable in only 30% of the cases. The identification of the worm and laser photocoagulation of the worm remains the mainstay of treatment. 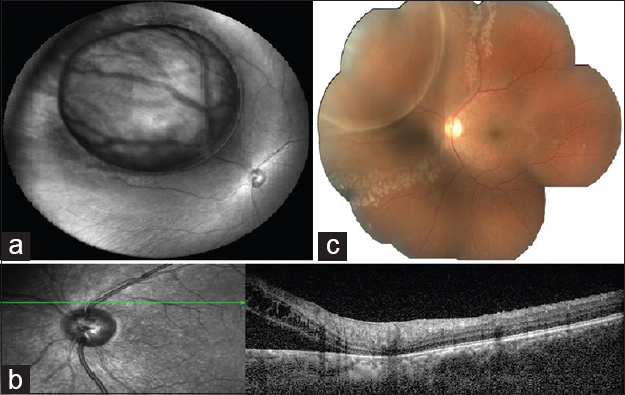 Here, we describe a case of DUSN with a subretinal worm in the macula which was captured on Optical coherence tomography (OCT) scans and treated with laser photoooagulation. 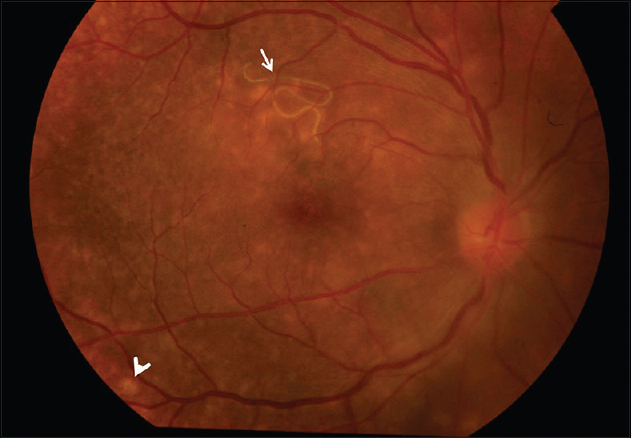 A 23-year male with complaint of diminution of vision in left eye was referred to us as a suspect case of inflammatory choroidal mass/melanoma. Examination revealed a total retinal detachment with a reddish brown lesion in the superior hemi-fundus. B-scan ultrasonography demonstrated the 'mass' to be intra-retinal without choroidal involvement. A diagnosis of haemorrhagic intraretinal macrocyst (HIM) was made. We report this case to highlight the importance of correctly diagnosing an HIM and utilizing ultrasound to rule out choroidal pathologies, especially melanoma. This is essential as the management and prognosis of the two disorders is entirely different. Acute corneal hydrops (CH) occurs when there is a tear in descemets membrane causing rolling of its edges, creating a gap through which aqueous from anterior chamber (AC) percolates into corneal stroma. Acute CH occurs in approximately 2.5-3% of eyes with KC. Conventional therapy is patching or bandage contact lens application with topical cycloplegics and topical hypertonic sodium chloride. Here, we report a case of 9-year-old boy with bilateral keratoconus with left eye acute hydrops who was successfully treated with pneumodesmetopexy with perflouropropane (C3F8).